Mara and her Brides maids. L-R: Iella Antilles, Mara Jade, Mirax Horn, Leia Organa-Solo. 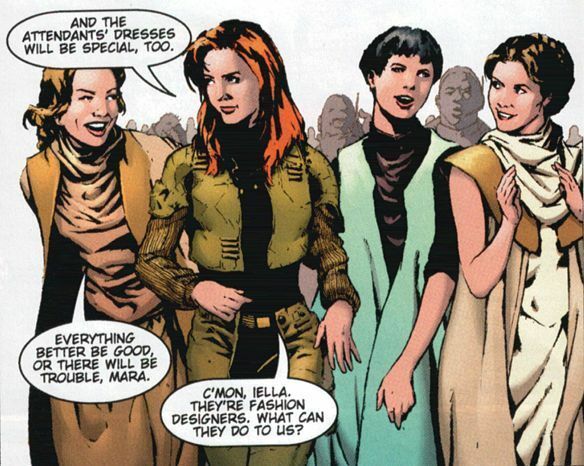 Wallpaper and background images in the Mara Jade Skywalker club tagged: marajade starwars. Nice pic.Where did you find it?? ADD COMMENTS PEOPLE!!GOSH! !THIS IS A GREAT PIC PEOPLE! !BEST PIC!! !